Every year after a CHA, I find myself waiting for the yummy new goodies to arrive by the post. Though they are tempting, it's hard to decide where to start with them, usually the tools and accessories. 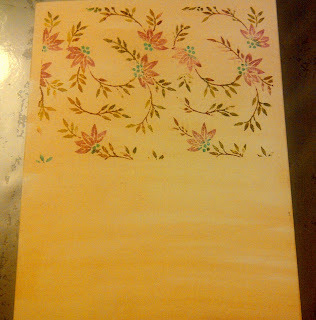 So this year, I waited for Tim Holtz Distress Markers to arrive and to begin coloring my stamped images. 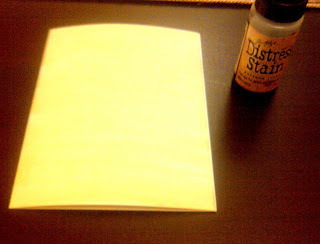 So ta daa here are the Tim Holtz Distress Markers! Available in Distress 37 color palette, that is 36 colors of Distress inks and Picket fence. So what did I tryout with them? 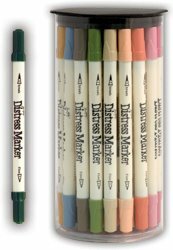 I went through quite a lot of the reviews on these markers (some good ones are available at the end of the post) but didnt find many techniques with them yet. Anyways, I usually color my stamped image with Copics and am happy with that, so what I really wanted to try backgrounds with the Distress markers . 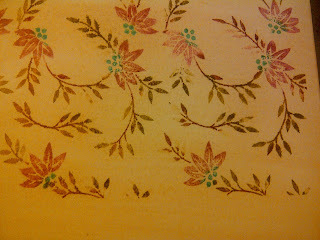 I love to make my own backgrounds for using on cards, scrapbooks and my journals. I took a Hero Arts folded card and covered it with Antique Linen Distress Stain, with horizontal application (above). 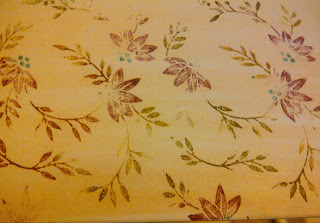 Next I took a rubber stamp(any stamp with some coloring space would do) and colored in with 5 Distress markers. 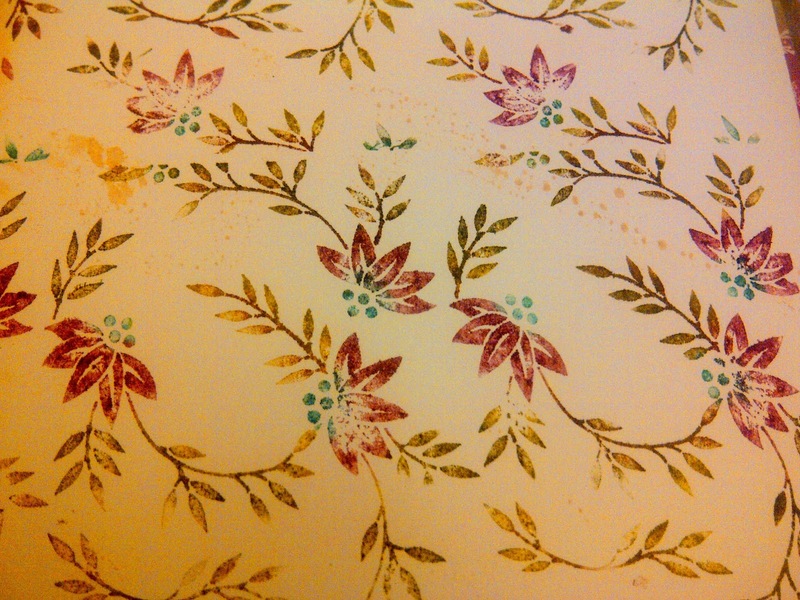 Flowers are colored with Victorian velvet and Broken China, the leave branches have no particular sequence of coloring. I spritz the colored stamp with just one spray application of water from a distance. wait for a few seconds and then stamp. If you press hard while stamping ,it will bleed more. see below the upper half of the card. 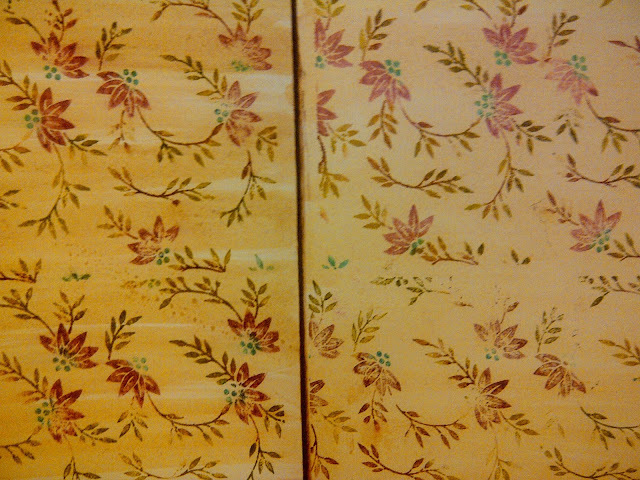 Then I swiped the Antique Linen stain horizontanly over the card only from left to right. 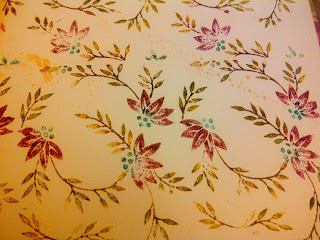 The left Hand side is "Wallpaper effect" and Right top is First technique with Stamp with water spray, and Right bottom is stamp with huff n puffs. 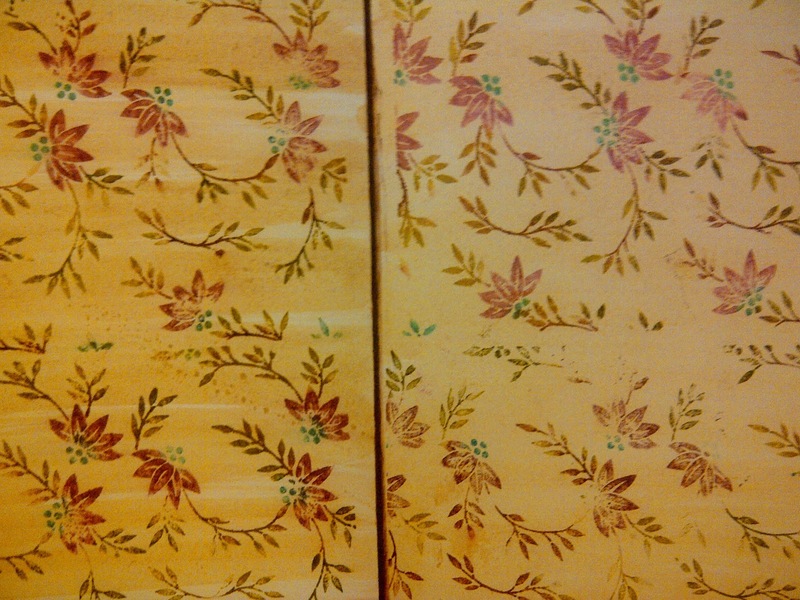 I keep these backgrounds in a box to come handy when I am working on a project. 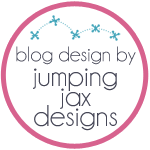 Hope you liked today's Product focus with Lil Bee's Boutique. See you again with next episode of Lil Bee's Product focus on Monday, 19th March. I couldn't explained it better... I have to say though your huffs and puffs are not bad at all! 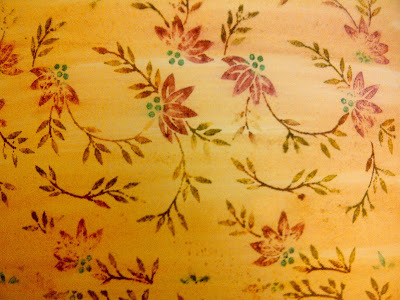 I find this technique handy for those times when the image of a stamped background is not enough. Can't wait for the next tutorial!